Polished 14kt yellow gold. 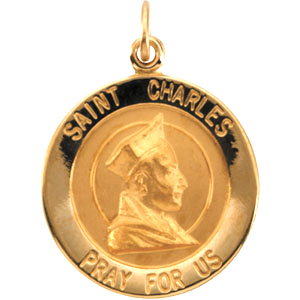 Medal inscription reads: SAINT CHARLES PRAY FOR US. Dimensions: 18mm diameter. Weighs 1.43 DWT (2.23 grams). Please note: weight is approximate, actual weight may vary. Chain not included.